If you’ve come to this page with questions or concerns related to eating and body image, you are not alone. Men and women of all ages and cultural backgrounds struggle with eating disorders and many more deal with disordered eating issues or concerns about their body. For example, 91% of women surveyed on a college campus had attempted to control their weight through dieting and 22% dieted “often” or “always”(Kurthm Krahn, Nairin & Drewnowski, 1995). Regarding body image, 80% of American women are dissatisfied with their appearance (Smolak, 1996). Perhaps you are tired of dealing with your own struggles. You might be unhappy with the size or shape of your body. Or you might be exhausted from hiding your binge eating or purging behaviors. Or perhaps you are tired of counting calories in pursuit of perfection and control. You are not alone. Maybe you’re worried about your son or daughter. Or perhaps you want to know how to help a friend. 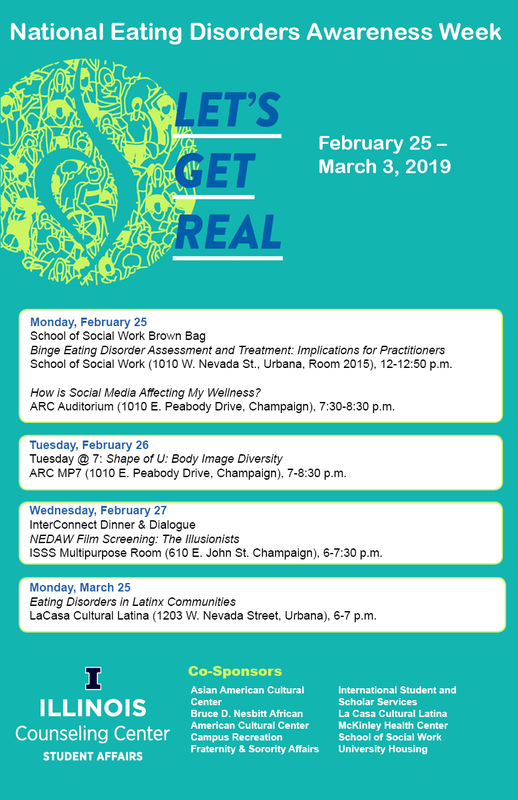 We hope that information on these pages will help you learn more about the wide array of eating concerns facing college students and the resources available to help you or a loved one.